Miss the webinar? Watch it here! 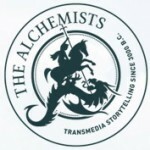 The use of transmedia techniques are not limited to entertainment or even marketing, though these two industries have gotten most of the attention to date. Non-­profits, social cause groups, and politically-focused organizations have also picked up the transmedia banner, and Lina Srivastava will share her thoughts on the benefits of what she calls, “transmedia activism” (a framework for creating social impact by using transmedia principles). As technological advances and changing consumer behavior yield ever-­‐new ways of delivering stories and designing experiences, what tools are available for transmedia storytelling? 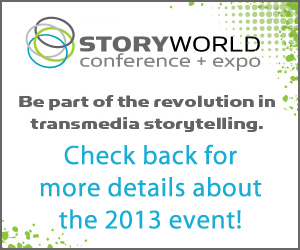 What will transmedia experiences look like in 5 or 10 years? Aaron Williams and Robert Pratten will discuss why they built technologies with transmedia in mind and share their thoughts on the future of transmedia technologies. Dr. Henry Jenkins, whose 2006 “Convergence Culture” helped launch the term “transmedia” into the mainstream, will offer his thoughts on the journey of transmedia, its impact on the larger world of media, and the challenges and opportunities of living in an increasingly mediated world. The challenges of designing multi-­‐platform experiences are often reflective of the spaces they’re designed for. While the fundamentals of storytelling do not often change, this panel of creatives will explore the design differences that emerge when a story is produced in the very different spaces of Hollywood, consumer brands, and independent production.